The biggest tragedy of our times concerning health and diet is the mistaken belief that coconut oil is a poison that causes heart diseases. In fact, coconut oil – a highly saturated fat – is not vulnerable to oxidization and thus safest to use in cooking. Scientists have known about the medium chain fatty acids present in coconut oil since 1950 and it has often been used in hospitals to treat Alzheimer, Cystic Fibrosis, Epilepsy and to improve protein, fat and mineral absorption. 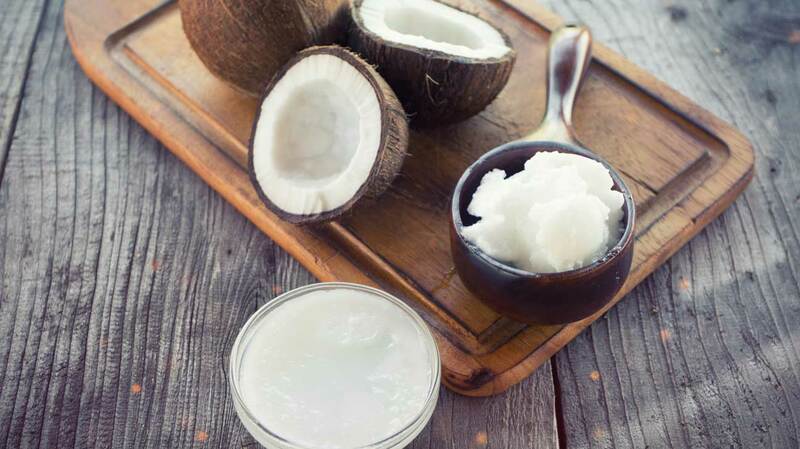 It is well known that coconut oil is a saturated fat- all the criticism we hear recently assumes that this will cause an increase in the blood Cholesterol levels without any legitimate research. However, the Framingham Heart Study is the most influential and respected investigation on the causes of heart diseases. The researchers could not prove any link between dietary cholesterol and its effect on blood cholesterol levels. A review of epidemiological studies shows that dietary coconut oil does not lead to high blood Cholesterol and heart diseases. In fact, when traditional societies replaced coconut oil with refined vegetable oils, that’s when their risk of heart diseases shot up. In Sri Lanka, coconut and its oil is the chief source of fat for thousands of years. Until 1980s, despite large amounts of coconut consumption, heart disease rate in that country was the lowest in the world i.e. only 1 out of every 10,000 was suffering from a heart condition. Over the past decade processed vegetable oils have replaced coconut oil, and as a result heart disease rates have also been going up. Over 3000-year-old ancient texts of our country recommend saturated fats like desighee, mustard & coconut oil as being stable for consumption. Let’s look at the figures in our very own Kerala, a state where large quantities of coconut fat and oil is traditionally consumed on a daily basis. In 1979, on an average 2.3 people out of a 1000 suffered from coronary heart diseases. As there was a rise in the campaigns against coconut oil, its consumption decreased across the state and was replaced by processed vegetable oils. As a result, in the year 1993, rate of heart diseases had tripled! Indians had very low incidences of heart disease, diabetes and metabolic health issues while using ghee, coconut oil and mustard oil. The epidemic of diseases began only after there were replaced with peanut, sunflower, soybean and canola oils which are high on poly unsaturated oils. Further, coconuts have been a staple diet of the pacific islanders for thousands of years. Common sense says that if it was harmful as we are led to believe, all the islanders should have been dead years ago. Heart diseases only appeared in the Island with the advent of modern processed foods and refined oils. We need a fresh approach to the repeated bashing of traditional oils that our ancestors used for thousands of years leading a healthy balanced life. Coconut oil is a natural and economical produce with no adverse side effects and is widely available too. Needless to say, money making health industries have no desire to fund studies to promote it. The refined oil industry is huge and bashing tropical oils and natural fats like ghee, is the only way to sustain themselves. Majority of vegetable oils claiming to protect your heart are highly processed and refined. During the process, the oil is separated from the source by using petroleum solvents. It is then refined, bleached, deodorized and heated up to 200 degrees Celsius. Chemical preservatives are added to avoid oxidation. Just compare this process to the way ghee was traditionally made in Indian homes. Coconut oil is cold pressed and helps extract the best yield without the addition of any preservatives. It is sad that consumers today are being misinformed due to vested interests. We do not need validation from the west, about our traditional food systems, that are robust enough to help us lead healthy and active lifestyles.